Not all potting soil is suitable for cultivating short cycle crops. The three most important factors that should be taken into consideration are structure, pre-fertilising and pH. Good pre-fertilising and pH are of vital importance for a successful harvest. Potting soil, rock wool and COCO are the three most important growing media for fast growing plants. The big advantage that potting soil has is that it is an easy medium to work with. Potting soil is principally biological and natural which accounts for its great popularity with organic growers. As well as this, when it is used in combination with CANNA nutrients there are almost no residues left in the soil which means that it can be used as a soil improver in an environmentally friendly way without any problems at all. Potting soil has the reputation for being ‘biological’ and ‘natural’ however is not, entirely justified since it often contains elements such as perlite and mineral nutrients that have been processed. Perlite is an inorganic material produced by an industrial process. Approximately 12,000 years BC, the glacial tongues from the last ice age retreated northwards, they left a barren, sandy terrain behind. 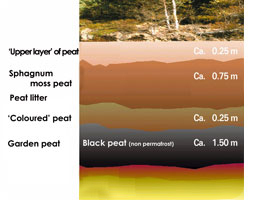 The first vegetation developed, died off and formed the first thin layer of peat, and this can still be found in what is known as the ‘dark’ layer. A long formative period interrupted by short ice ages around 6,000 and 3,000 BC followed during which the black peat layer formed. This marked the beginning of a new formative period during which the white peat layer was able to form. Peat is the basis for any good potting soil. Peat mainly comes from areas in which the rainwater has a low mineral content and therefore contains few nutrients. Because of this it is necessary to add all the nutrients that are needed for growth to the potting soil. This can be achieved by using specially prepared potting soil nutrients or biological ingredients such as algae granulate, blood meal, fish emulsion, dried cow manure, horn meal, bone meal and worm casts. Because peat can also take up trace elements, in particular copper, it is important that these should also be added. The amount of trace elements that the peat absorbs depends on its type, sphagnum moss absorbs less than garden peat for example. Most potting soil mixes that are available in the shops already contain nutrients and a healthy level of acidity. 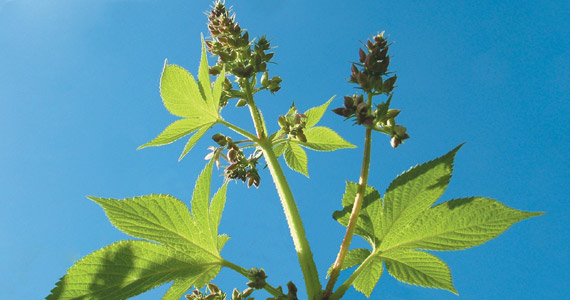 This provides a stable root environment and reduces the chance of problems with nutrition. The big advantage that potting soil has is that it is an easy medium to work with. Another reason that makes many people choose potting soil is that, in comparison with rockwool and COCO, for example, there is a tradition of using this medium and more knowledge and experience is available.